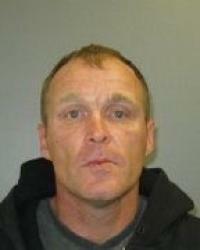 Porirua Police are seeking help from the public to locate 43 year old Brent Smith who is required to arrest for breaching his bail conditions. Detective Senior Sergeant Mike Oxnam, officer in charge of the Kapiti Mana CIB says Smith is required to arrest for breaching bail conditions. "We would like to hear from any associates, friends or family members of Brent Smith who may know his whereabouts to come forward and speak with Police as soon as possible." Brent Smith is considered unpredictable and should not be approached. Anyone with any information should contact Porirua Police on (04) 238 1400 or phone Crimestoppers on 0800 555 111.